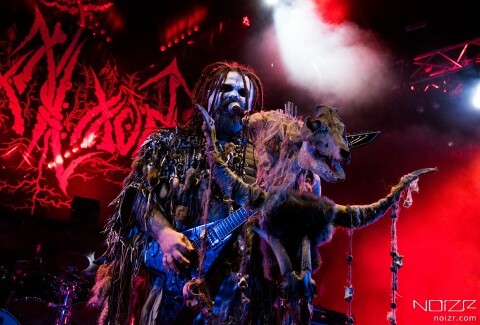 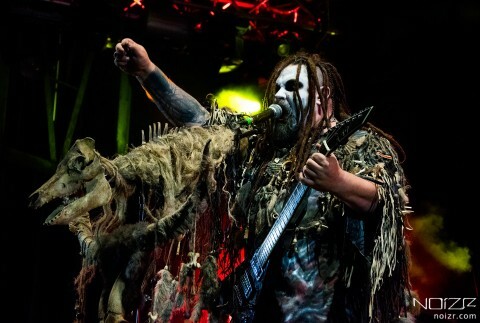 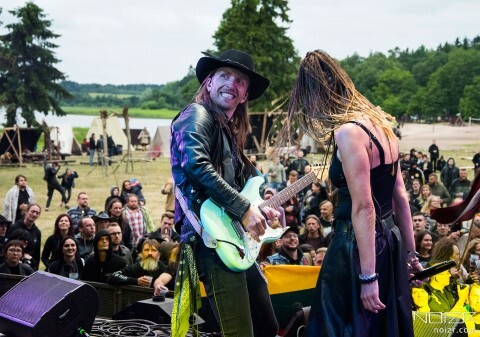 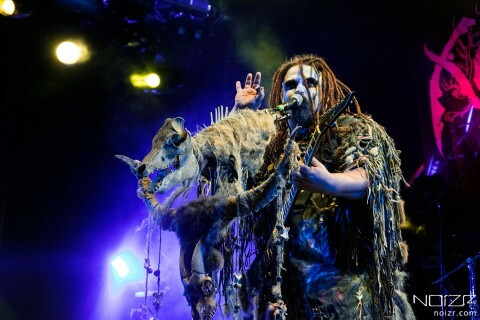 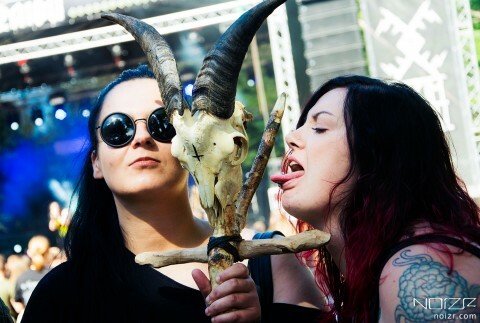 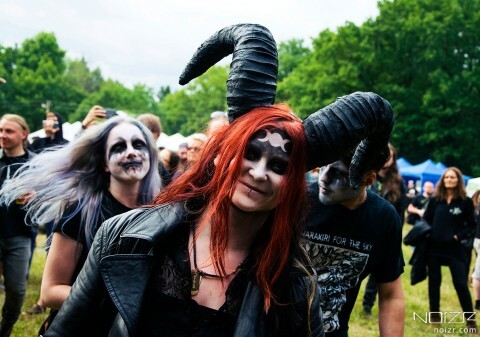 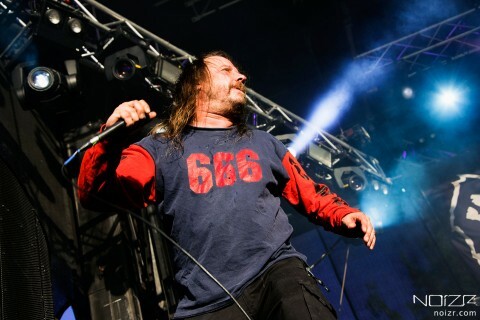 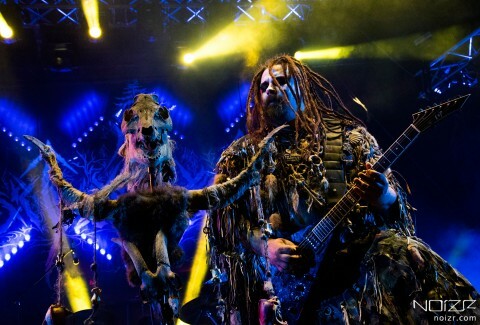 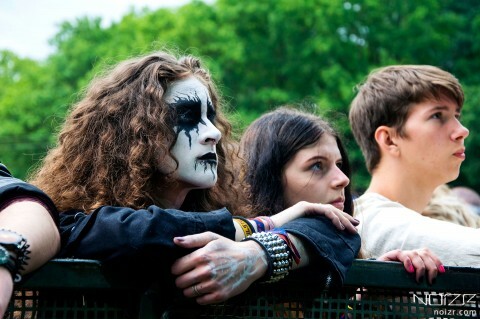 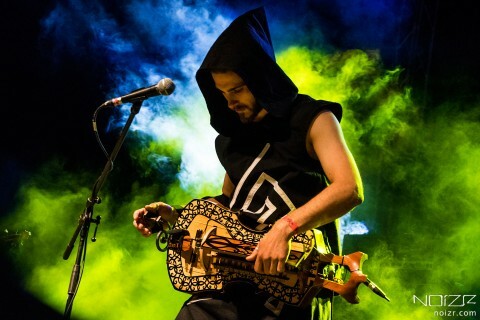 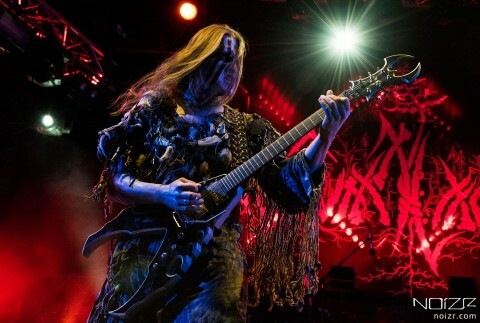 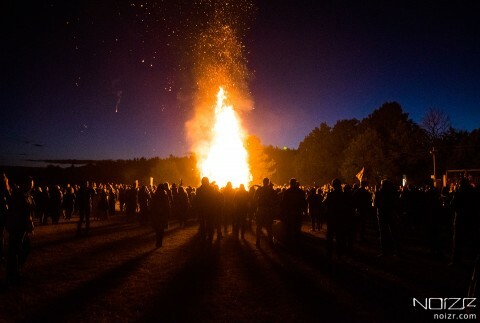 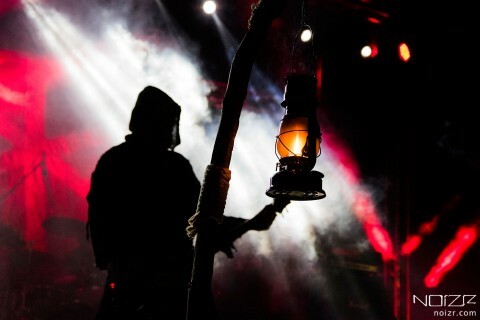 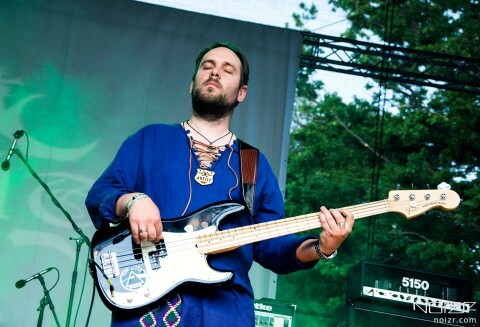 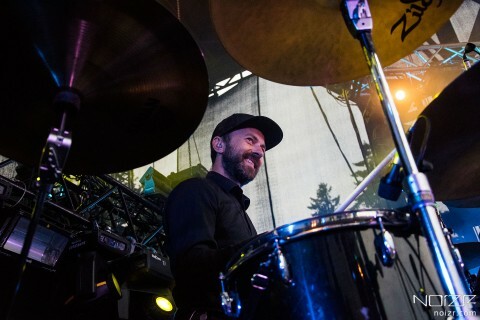 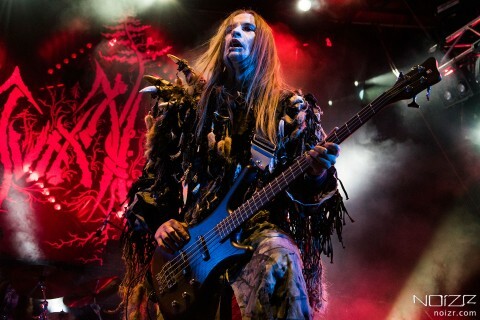 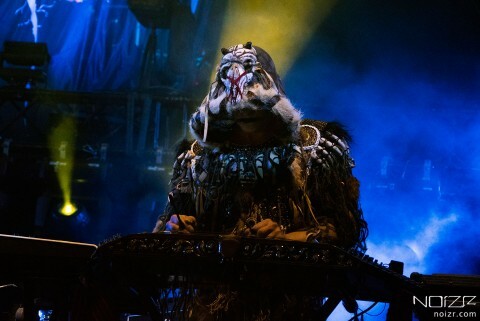 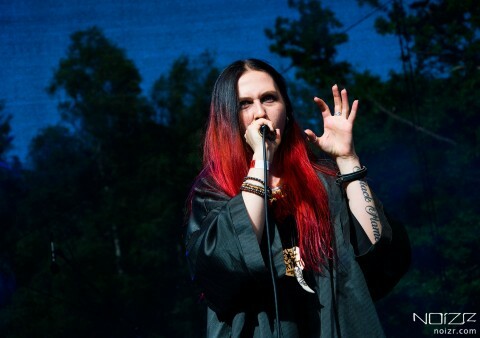 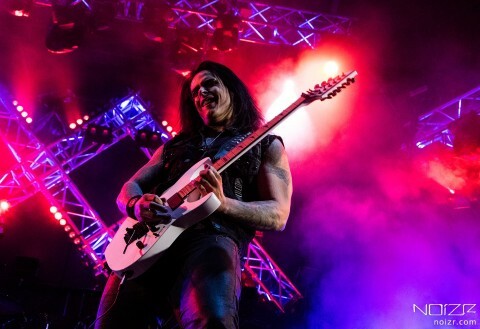 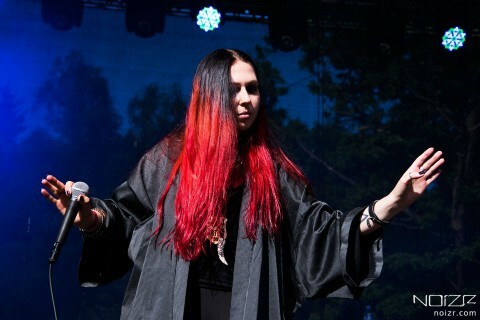 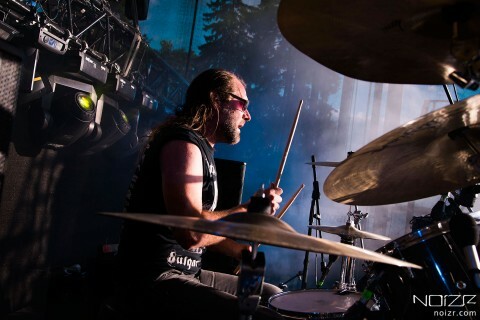 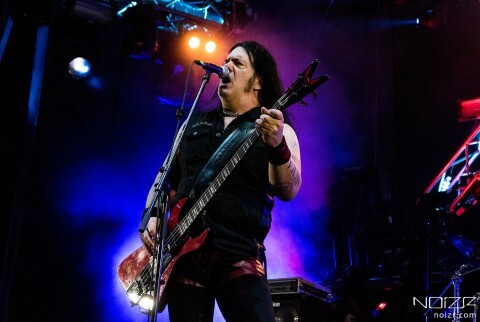 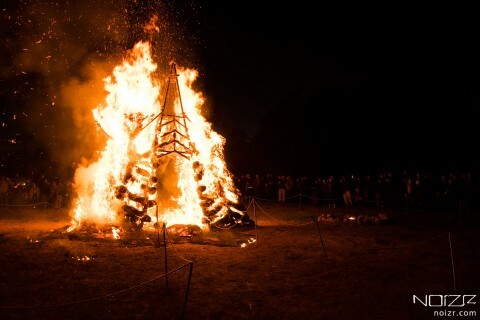 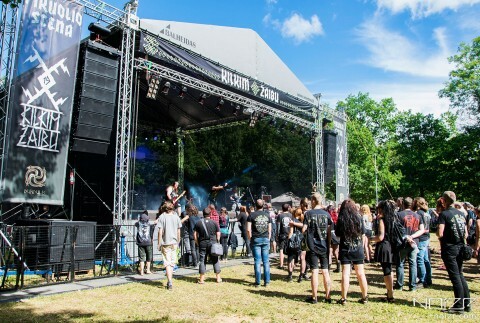 The 19th annual festival Kilkim Žaibu, from year to year gathering in the open air admirers of extreme music genres and ethnic traditions, took place on June 28-30 in Lithuania. 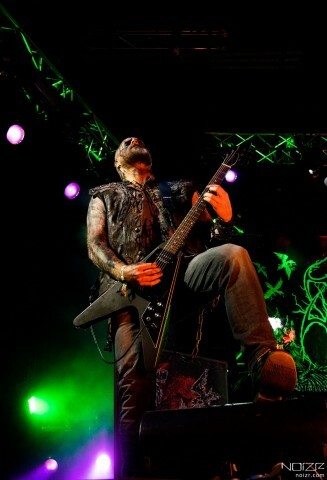 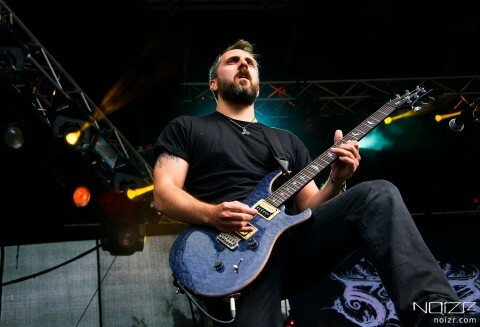 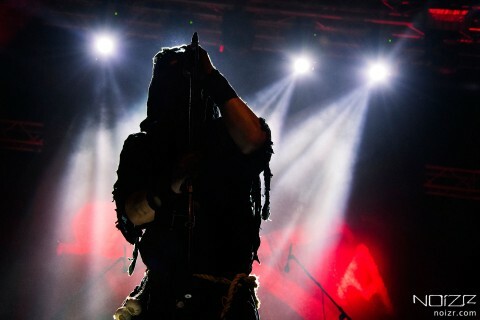 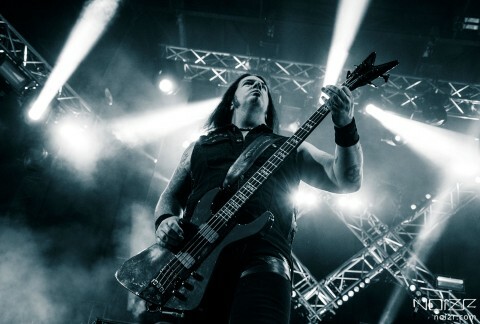 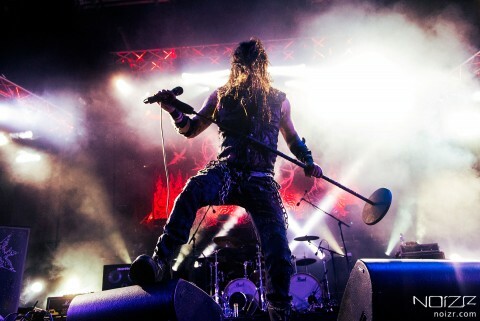 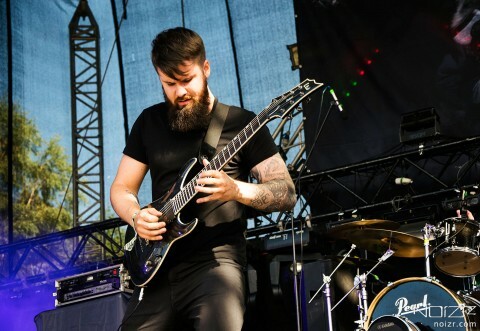 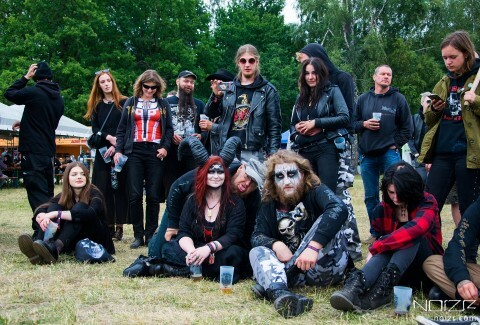 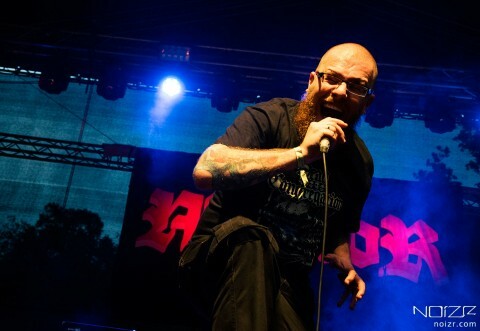 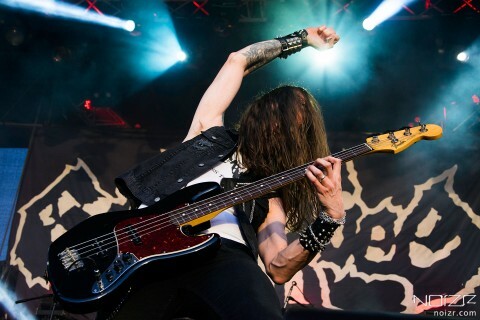 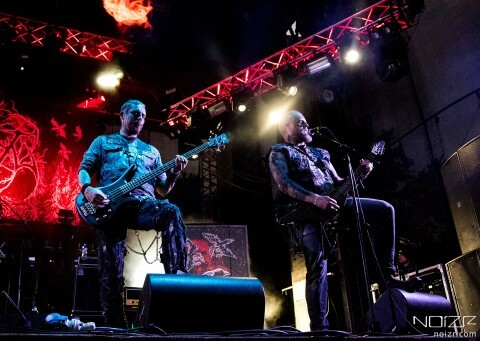 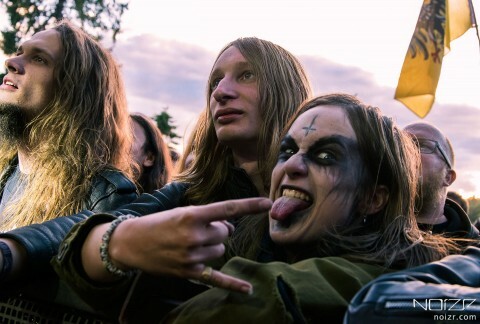 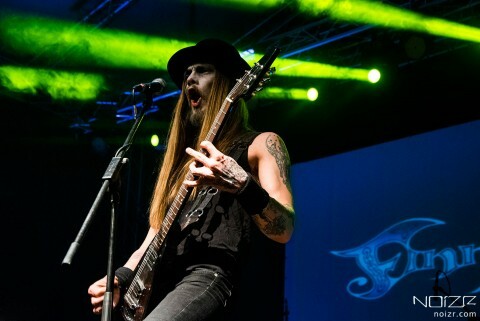 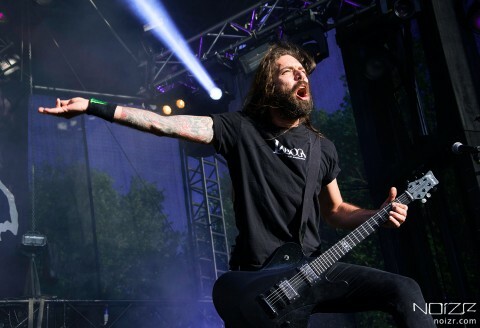 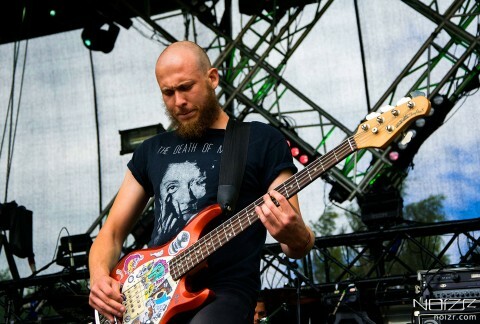 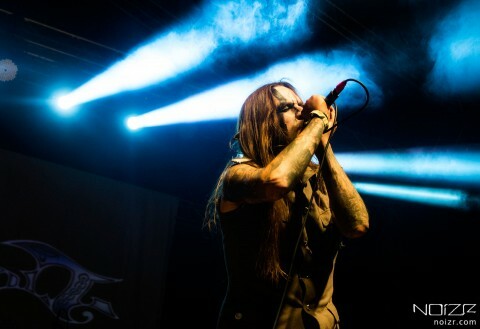 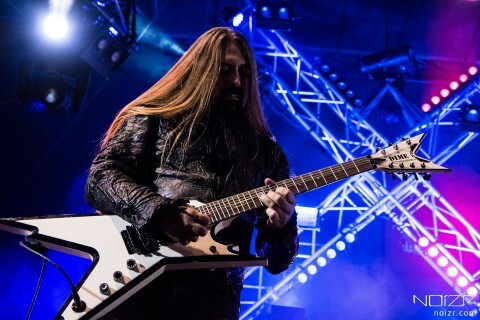 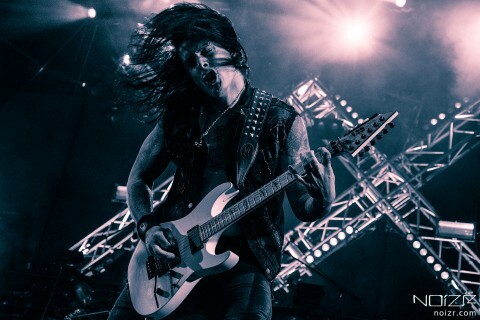 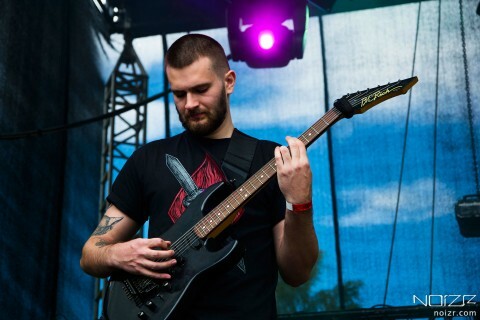 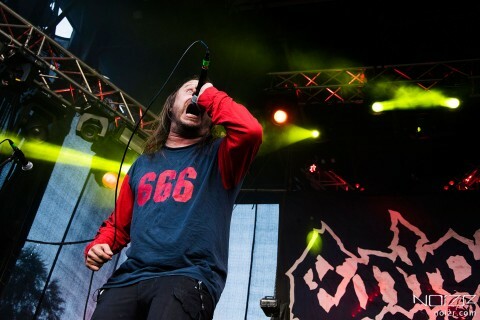 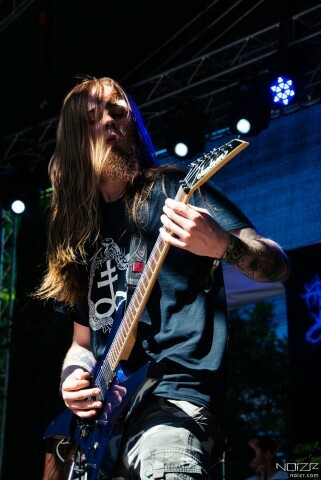 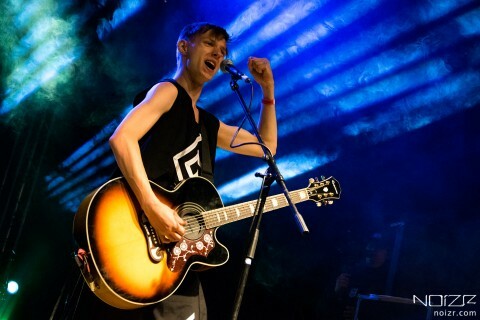 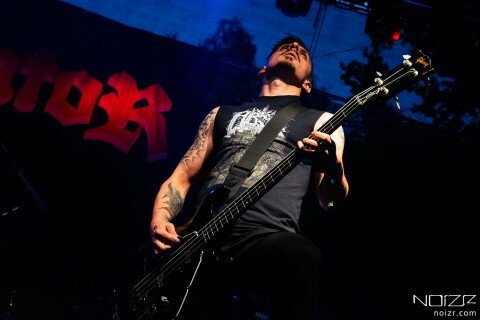 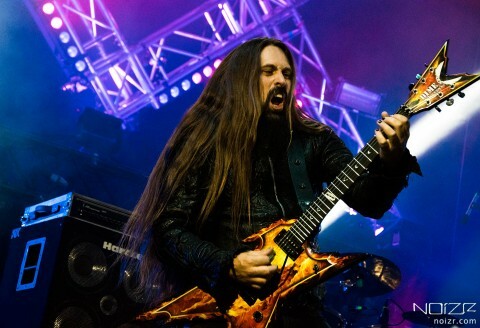 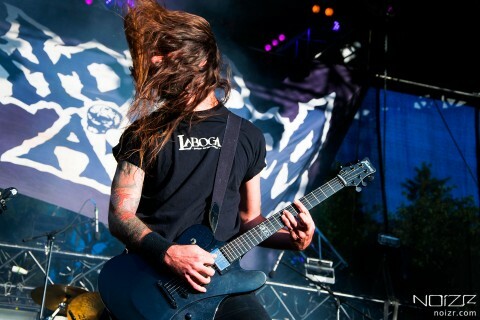 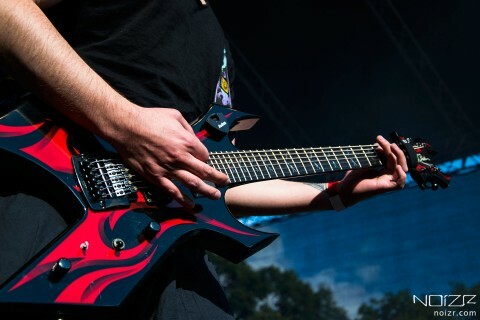 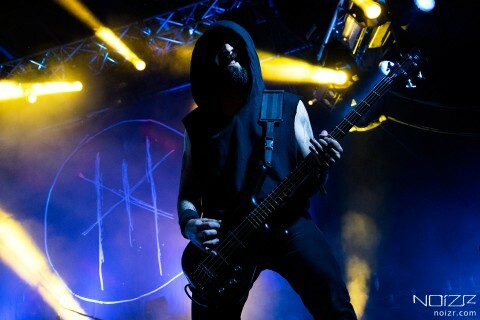 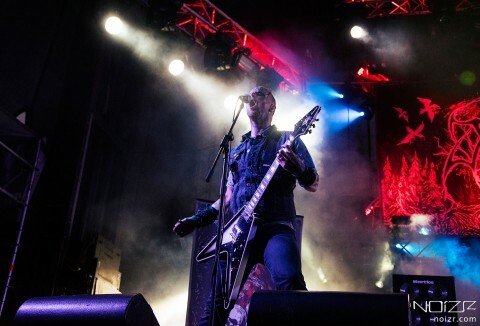 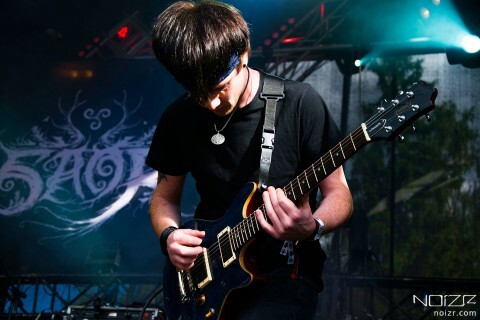 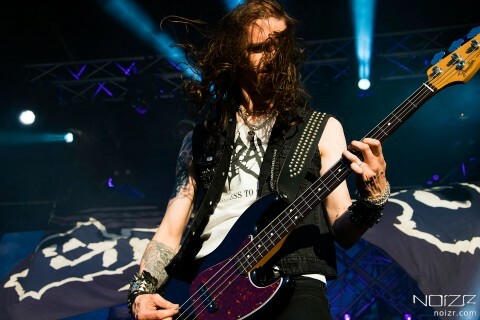 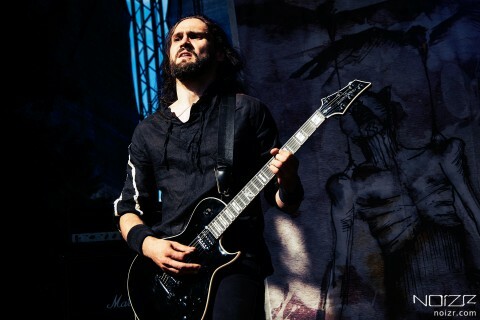 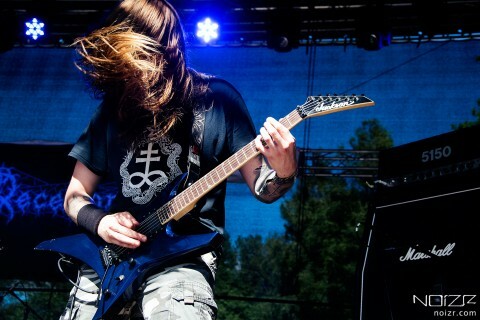 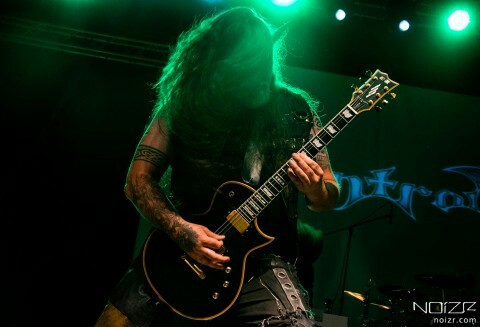 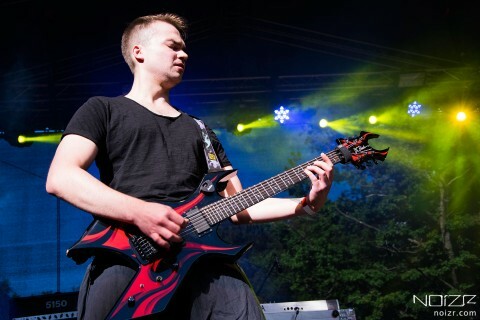 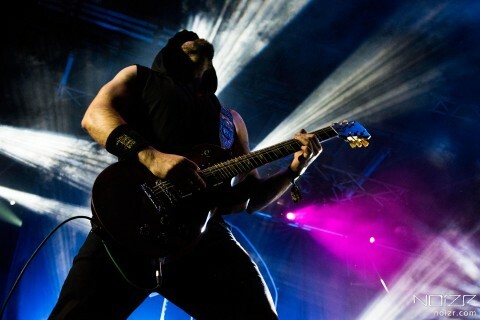 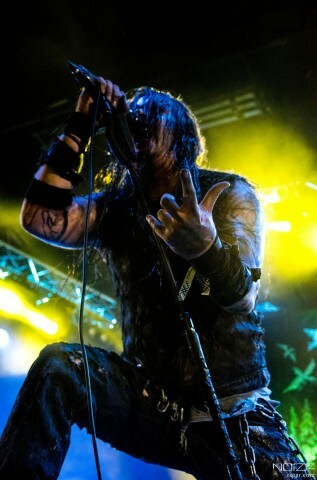 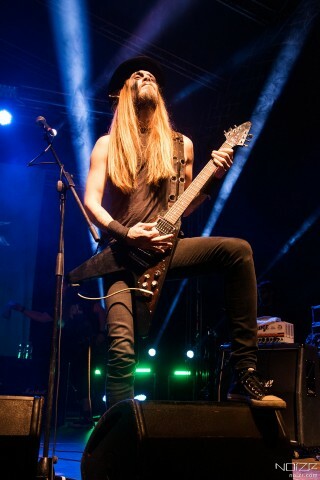 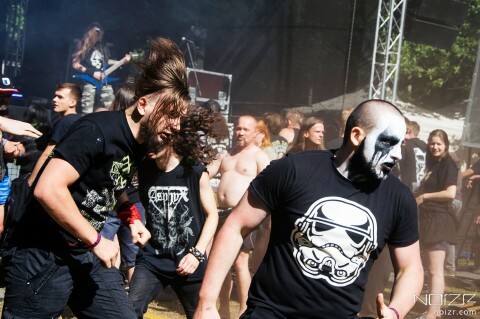 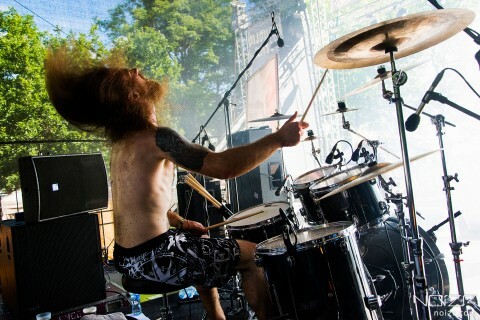 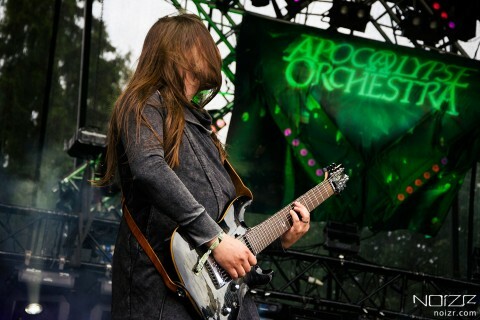 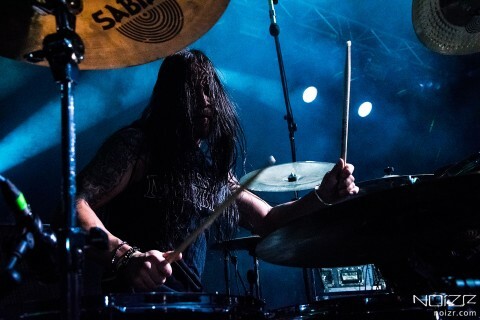 For the past few years, the festival, distinguishing with its unique program, actively supports the Ukrainian metal scene and locates on the picturesque shore of Lūkstas lake near the town Varniai in the western part of the country. 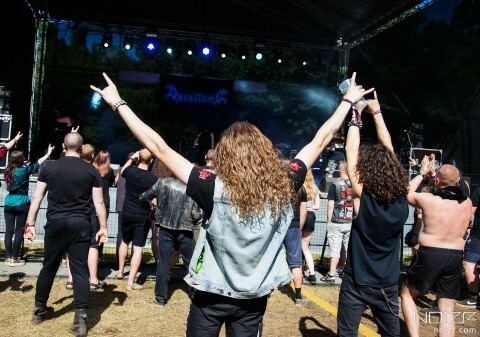 It’s a quiet place to which a narrow country road leads through the forest from the nearest route, it also leads guests to the cozy edge, the sandy beach of the cool lake and the green glade with the food courts, bars, various rest areas and two scenes, where 37 bands, 5 of which were Ukrainian acts Nokturnal Mortum, Kzohh, White Ward, Ignea, and Joryj Kłoc, performed during all 3 days (at first, there were announced 38 sets, but later the Polish metallers Infernal War were forced to withdraw due to the illness of their drummer). 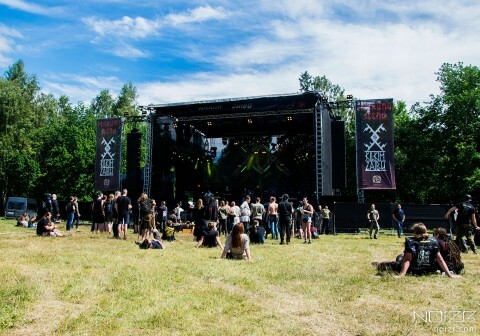 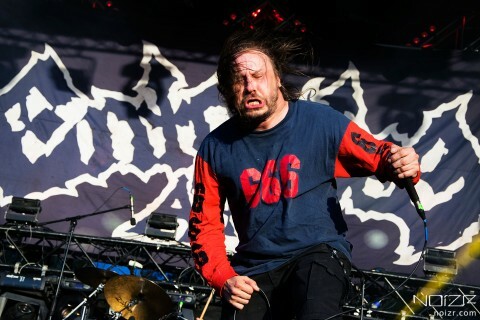 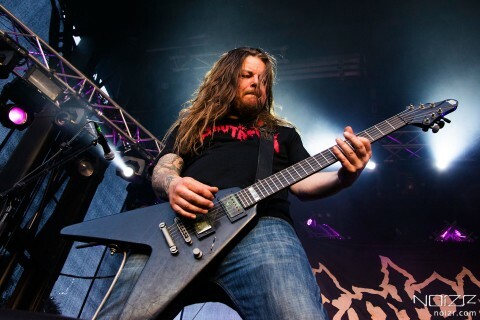 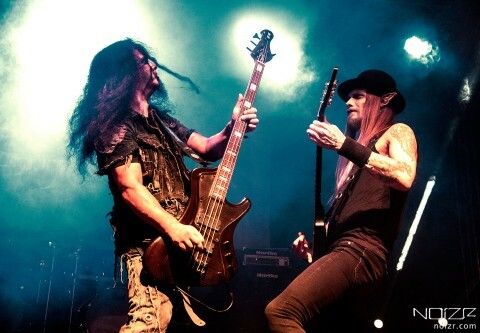 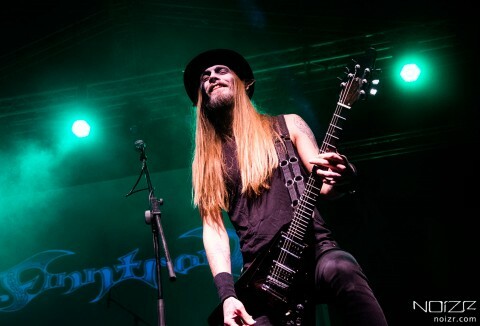 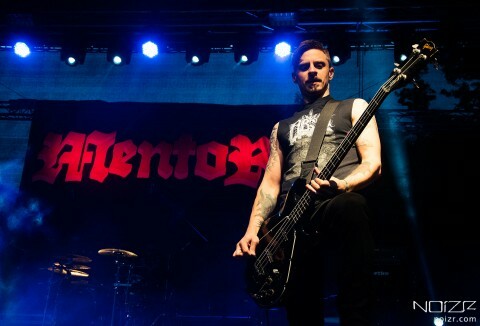 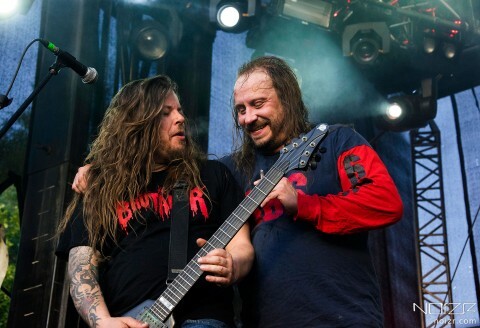 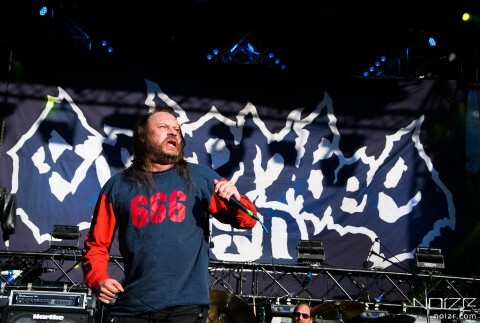 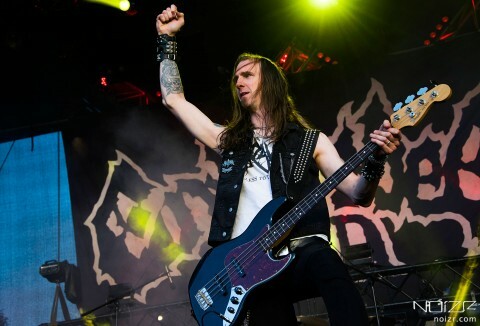 Over the weekend, such bands as Entombed A.D., I Am Morbid, Myrkur, Thyrfing, Mortiis, Finntroll, Mentor, folk acts from Lithuania and many others have played on the festival’s stages. 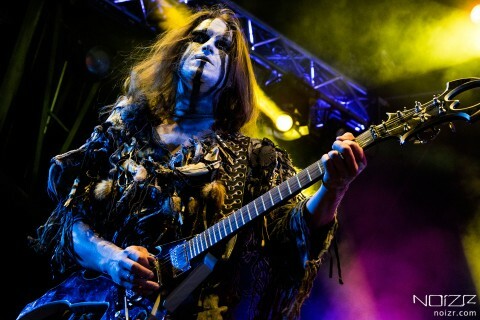 How Kilkim Žaibu, being one year away from its anniversary, was held — read further in the Noizr Zine’s report. 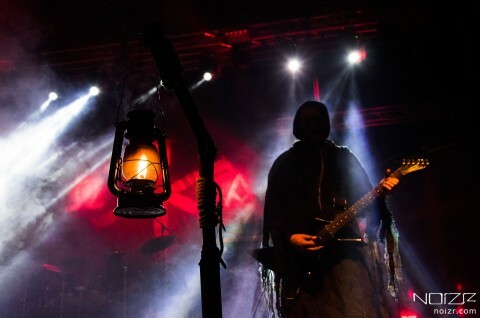 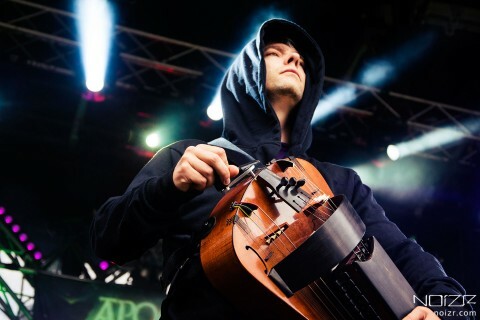 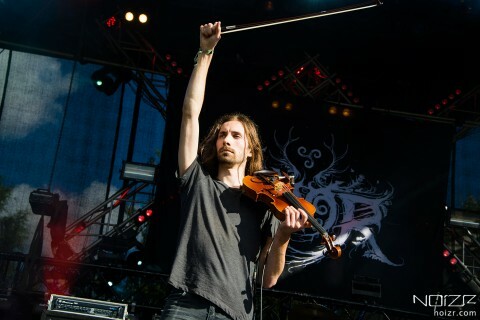 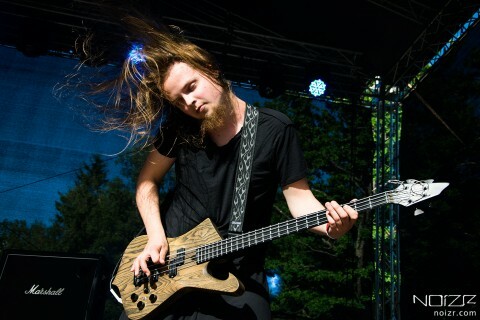 Kilkim Žaibu is not so much an extreme metal festival as a weekend with an abundance of folk instruments and live music outdoors. 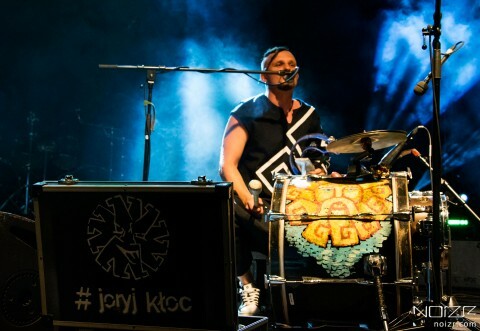 Having familiarized themselves with the rich program, each guest could choose the performances of those bands and those activities that were most consistent with his preferences. 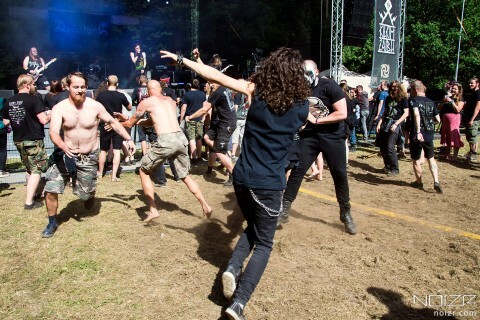 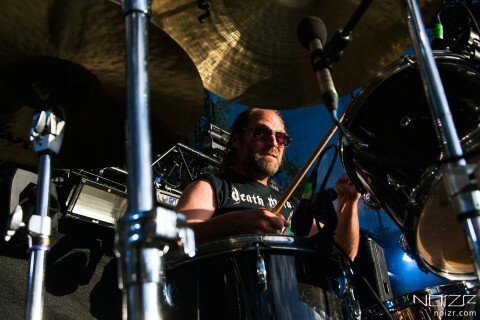 So, walking from stage to stage, you could dance to string melodies, sonorous percussions, and chants of folk virtuosos, rush into the midst of circle pits to heavy guitar riffs, take part in various activities or take time out and just enjoy the green landscapes and singing birds away from both stages. 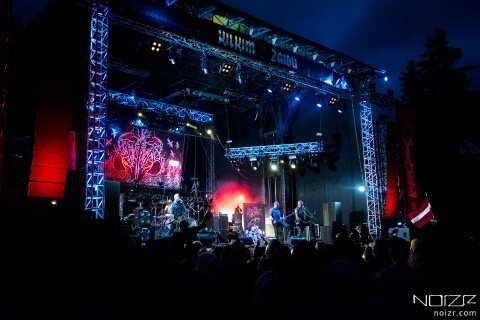 The performances of the bands were planned in such a way that the festival's guests could see all of them during each of 3 days without distracting themselves from the soundchecks and preparations — the stages revived and died down one by one. 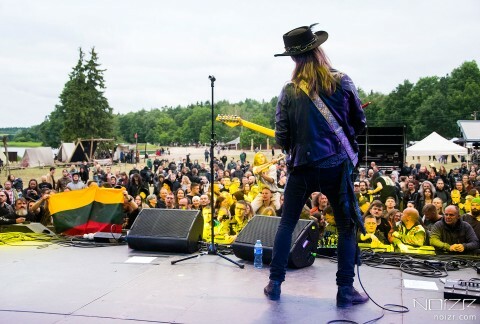 Among what I've seen at the Kilkim Žaibu XIX, I would like to highlight several truly impressive shows. 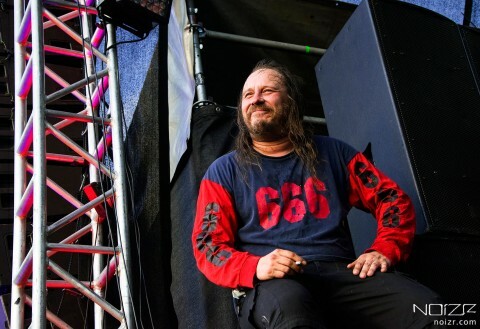 Contrary to the expectations associated with such names on the poster as Myrkur, Mortiis or I Am Morbid, perhaps the most memorable was the performance of the Swedish death metal’s veteran Lars-Göran Petrov and his band Entombed A.D., formed after the split of Entombed. 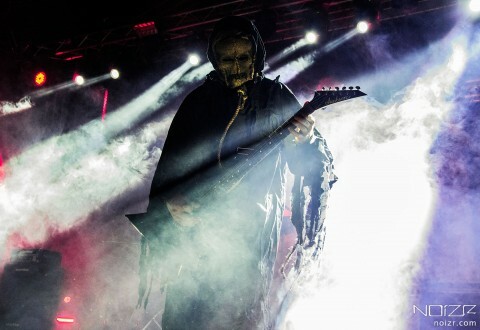 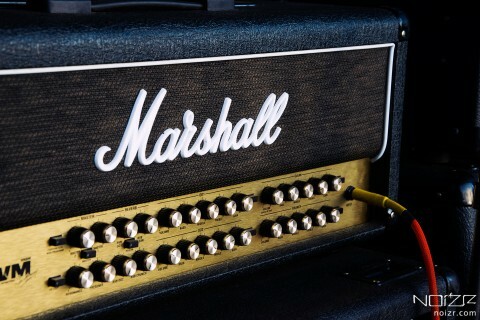 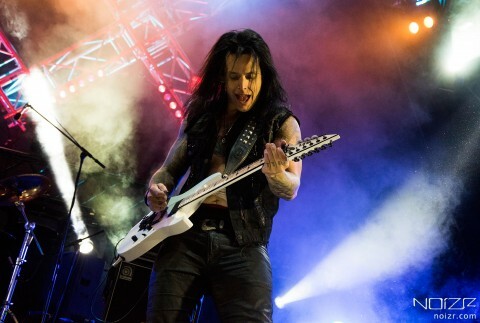 The musicians were among those who didn't particularly cared about their stage image, instead, focusing on a quality setlist and giving their best to listeners in full. 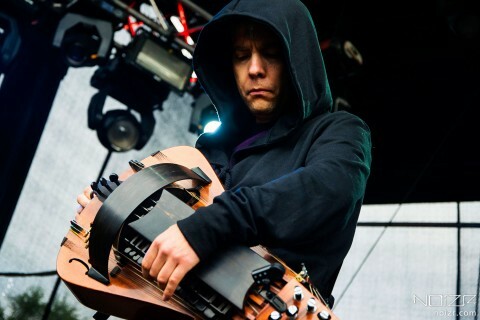 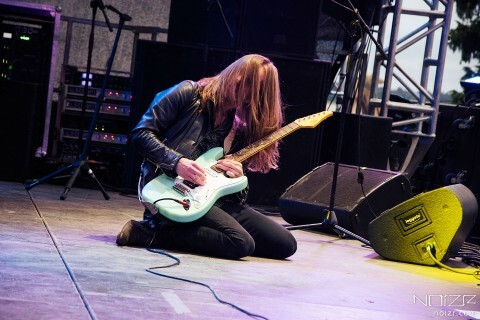 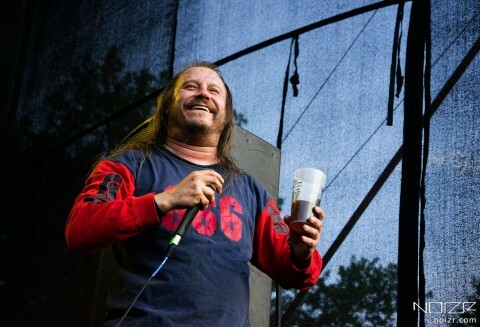 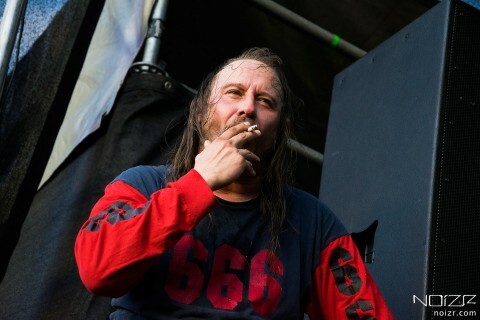 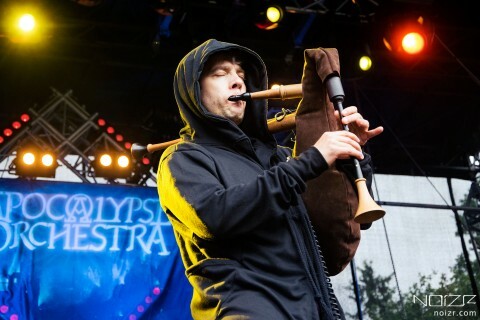 46-year-old Petrov, much less active and hardy than earlier, however, tried to give the best possible show, exhausting with every band's song his oxygen supply. 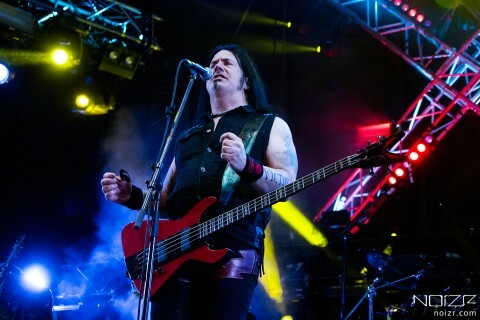 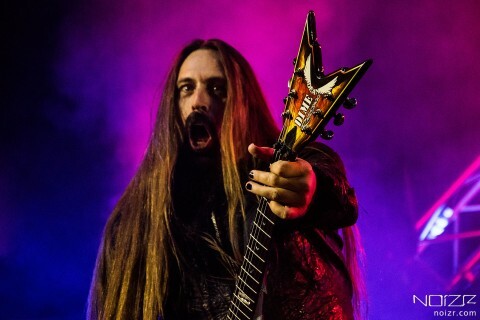 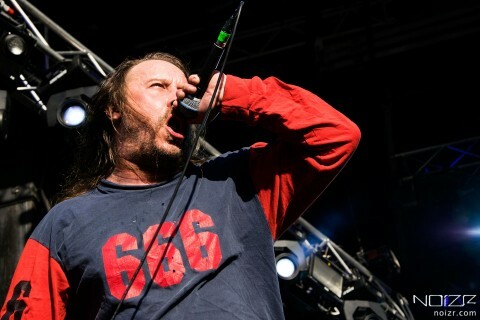 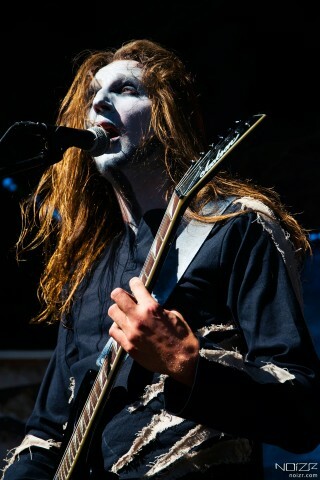 This sincere devotion, combined with the well-coordinated work of musicians and an impeccable sound, made the Entombed A.D. the tastiest part of the program. 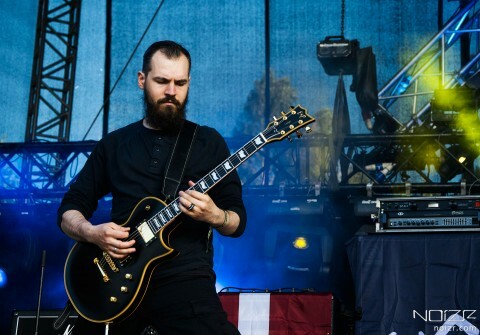 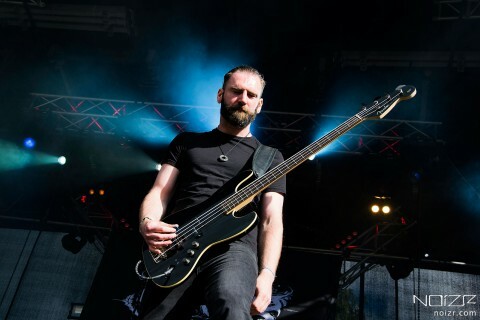 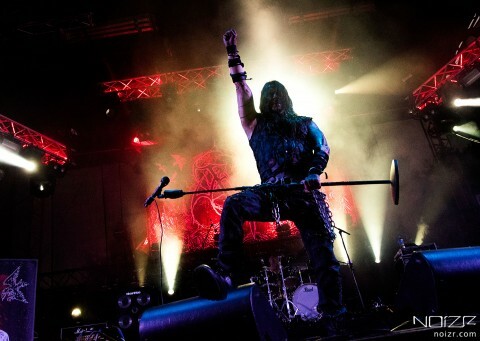 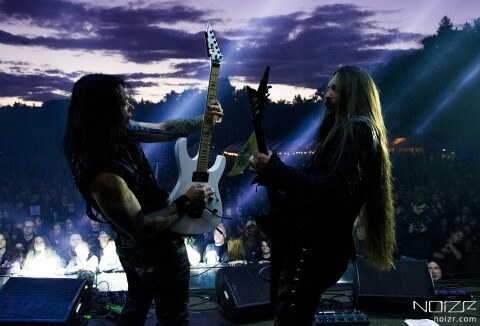 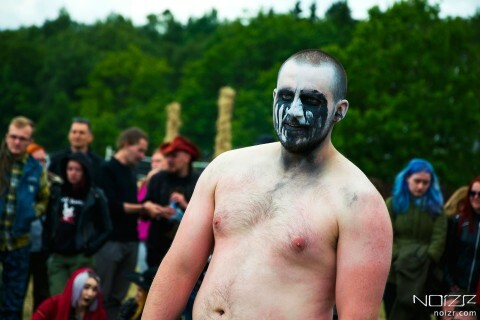 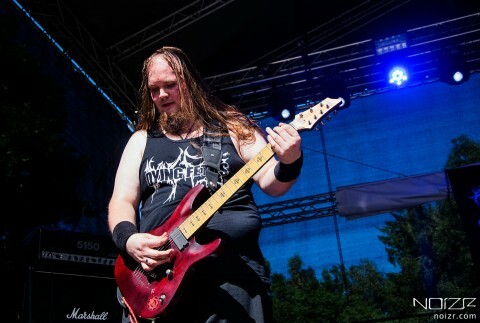 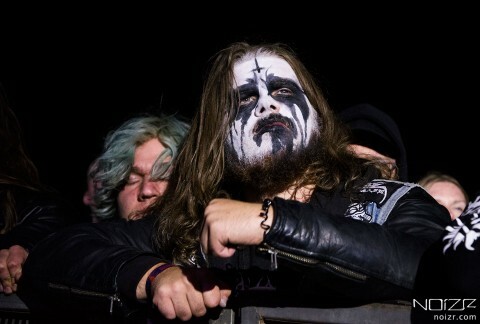 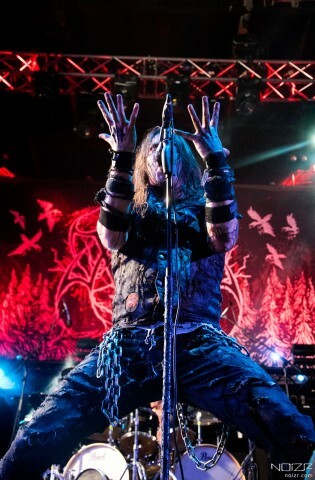 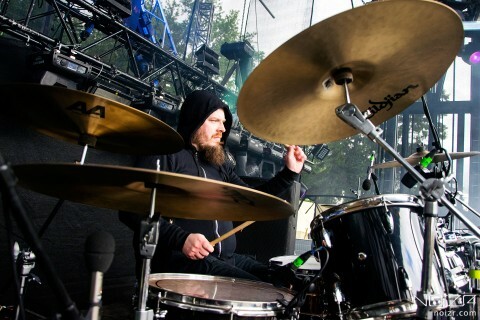 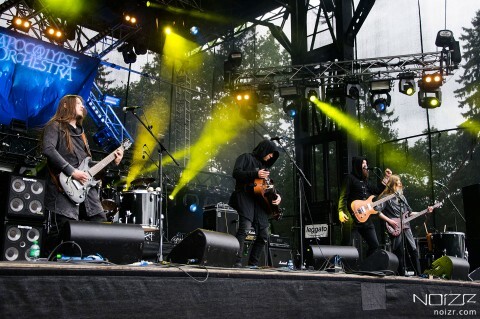 The gloomy show on the main stage of Kilkim Žaibu XIX was given by the Sweden act Thyrfing, forging a steel setlist from the best tracks of their Viking metal stock. 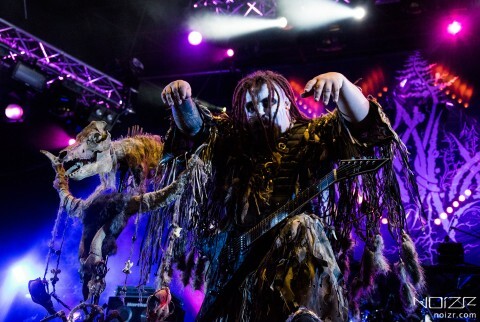 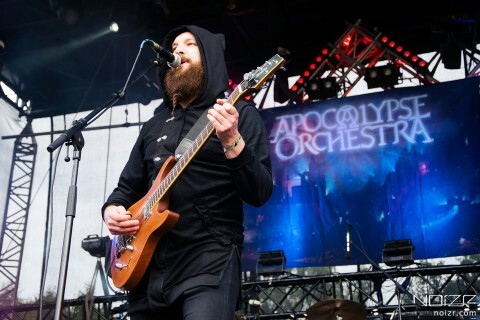 The band’s performance is also worth highlighting for the band's stage image, costumes, colors, flaming fire and no less tangible energy, which increased the perception from the seen at times. 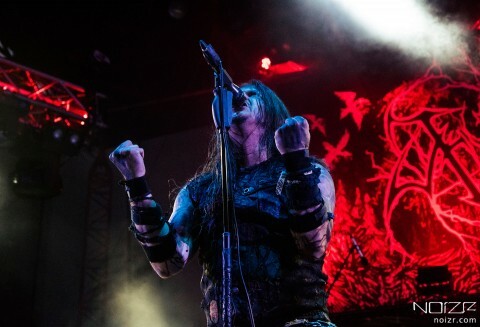 It was very interesting to watch the animated sets of I Am Morbid and Mentor, the hilarious and daring show of Finntroll, as well as the real theater of the death, unfolded on stage by the Ukrainians Kzohh. 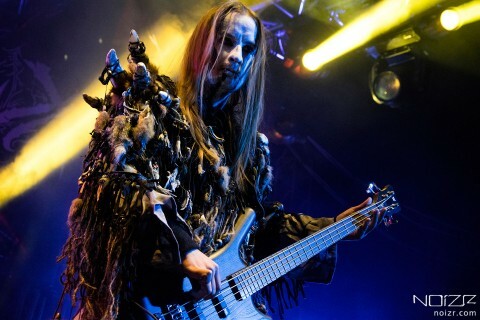 The headliners Nokturnal Mortum, whose costume performance closed the last day of the festival with a record number of people at the main stage, met absolutely all expectations. 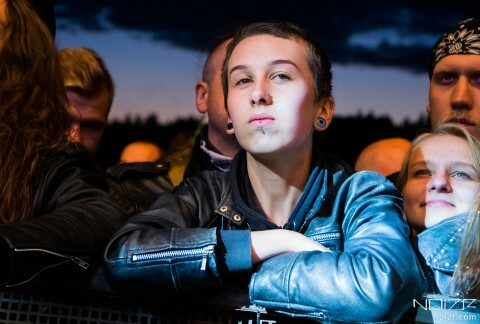 The spectators, among whom were Ukrainians, Lithuanians, guests from Germany and England, were sincerely waiting for Kharkiv’s artists, who have already performed at Kilkim Žaibu earlier. 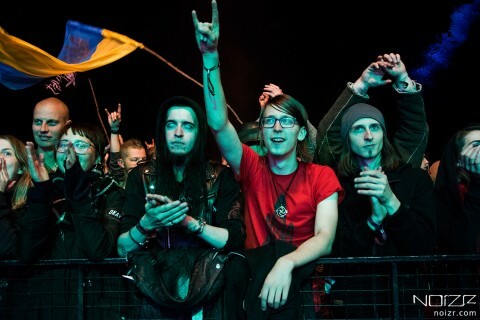 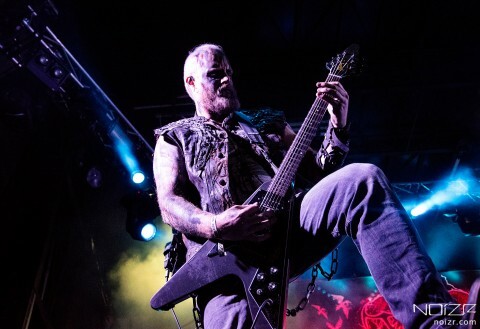 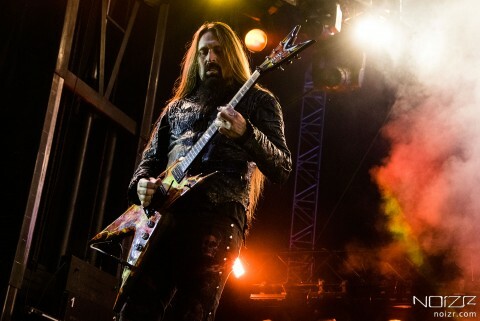 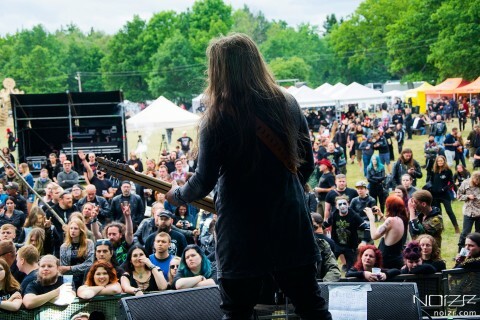 The crowd, albeit with an accent, but loudly and confidently greeted the band with cries of "Glory to Ukraine", while willingly sang the hits from Nokturnal Mortum’s last two albums "Verity" and "The Voice of Steel". 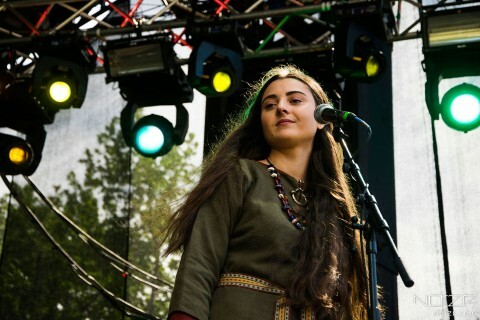 Separate ovations also deserved stage images of the group, the detailed costumes and, of course, the diverse ethnic component of the played songs. 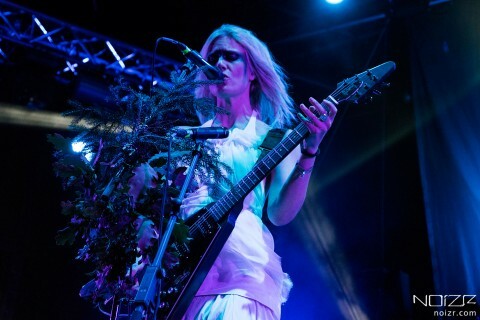 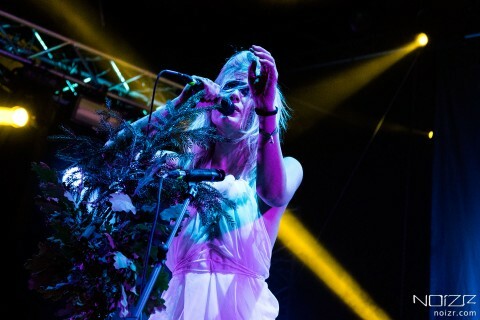 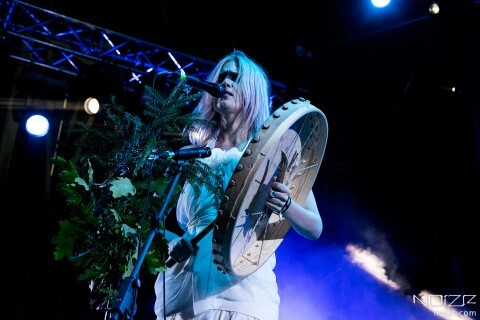 In turn, a little bit dryish performance was given by the project Myrkur, put earlier in my personal shortlist. 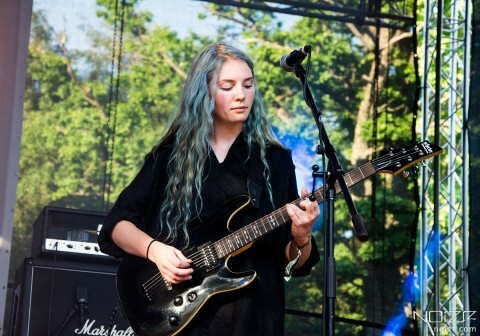 I’ve seen Amalie Bruun live show for the first time, and let's be honest, her captivating gracefulness sometimes just hypnotized me. 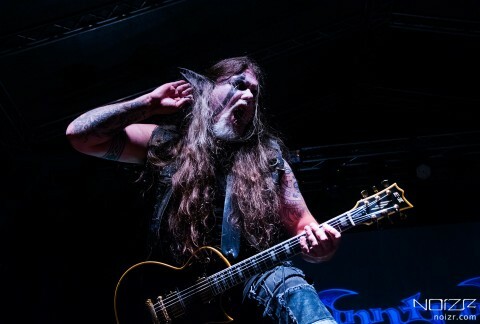 However, the overall sound of the band and seemed hastily composed setlist left a gap, which was not filled even after the singer's encore. In addition to the musical part of the festival, I would definitely like to share my impressions of the live program and atmosphere on Kilkim Žaibu XIX, thanks to which this open air is confidently standing out among other similar events. 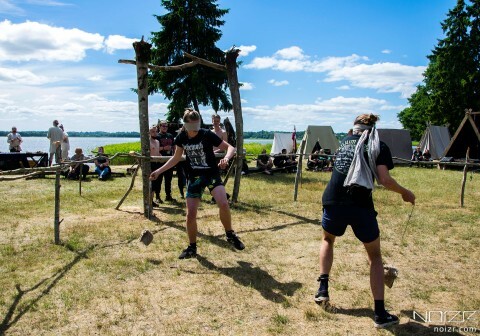 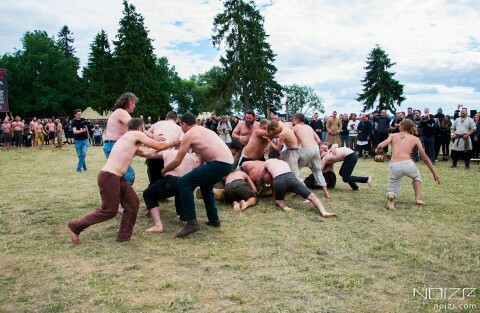 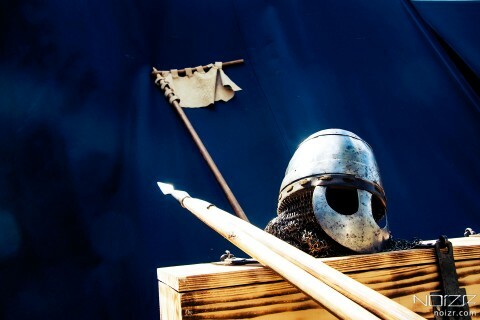 From morning till sunset, one could observe and take part in fest’s entertaining competitions on a first-come-first-served basis: Vikings power contests like fights for logs, sword fights, blind duels with chains and more traditional football, volleyball, basketball, and boating, for which purpose all the necessary conditions have been created on the shore of the lake. 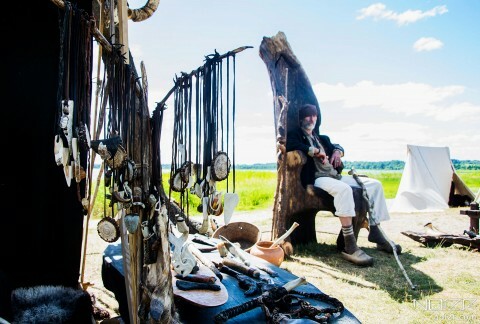 Separately appeared in the program, there were less energetic activities like lectures and master classes, lessons of ancient weapons possession, table games, exhibitions of traditional costumes and ornaments. 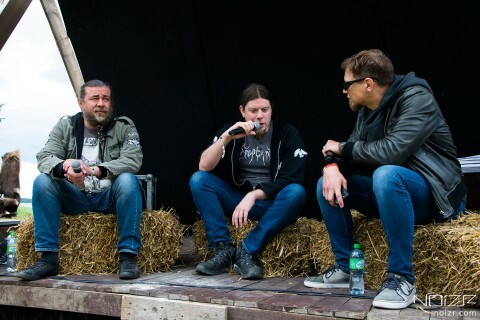 So one day at the Ancient stage, a small area between two main scenes, the guests of Kilkim Žaibu XIX had an opportunity to talk with the British writer Dayal Patterson, who presented at the festival his most famous book "Black Metal: Evolution of the Cult" and other works. 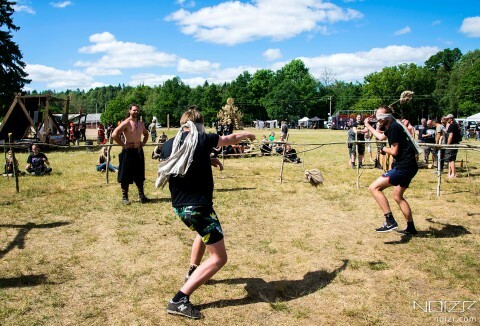 The territory of the open air was divided into zones of camping, active rest, food, and two large parking areas located near the venue of the festival. 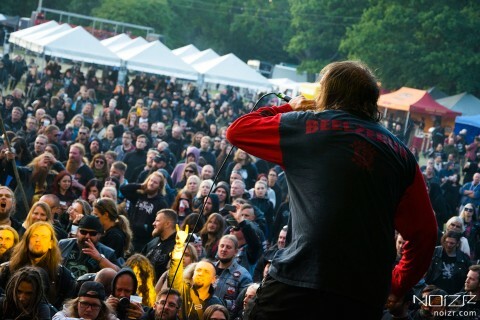 Also, thanks to adequate numbers of bio-toilets and garbage cans, all fest’s area was clean and tidy which contributed to a pleasant pastime outdoors. 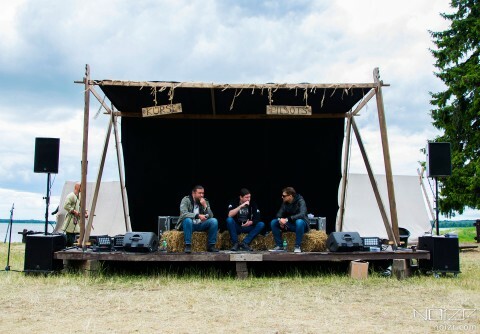 Close to the scenes, there were located several stands with a variety of food and drinks, as well as two barn type bars. 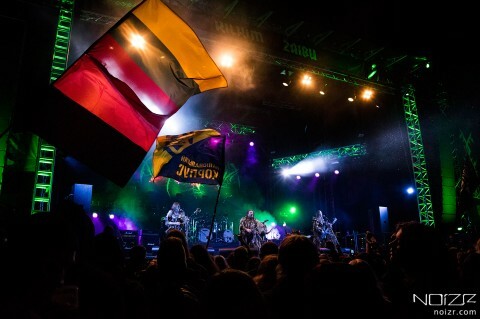 In general, one could have a good snack and treat oneself with a glass of Lithuanian beer for just €5. 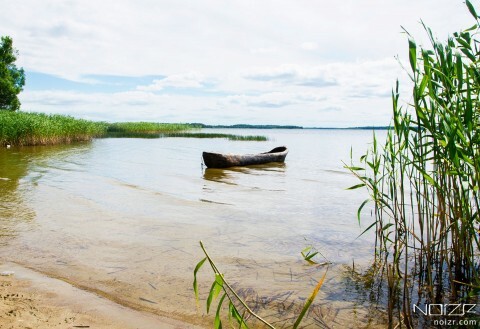 Perhaps the only downside at the Kilkim Žaibu was the problem with charging. 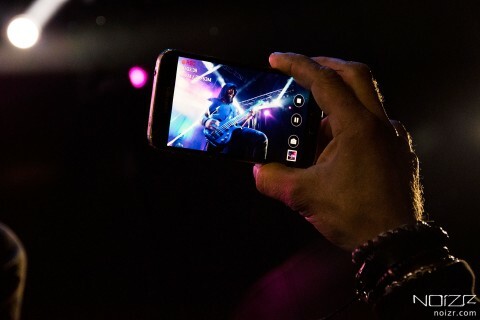 Undoubtedly, being in such a picturesque place, full of cool events, it’s even better for you to give up social networks, streams, the Internet, selfies and everything else. 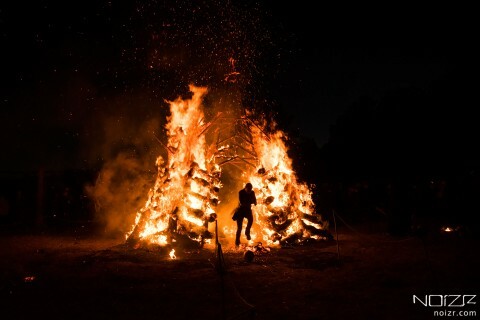 However, even without this, not all modern devices could survive with a full battery 3 full days and 3 nights. 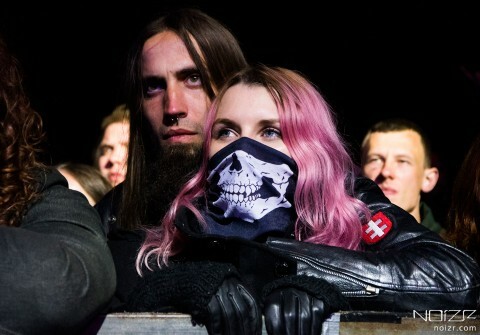 One had to look for free sockets in bars, food and drinks stands, while their fussy owners agreed to keep the phones and camera’s battery without responsibility for their safety. 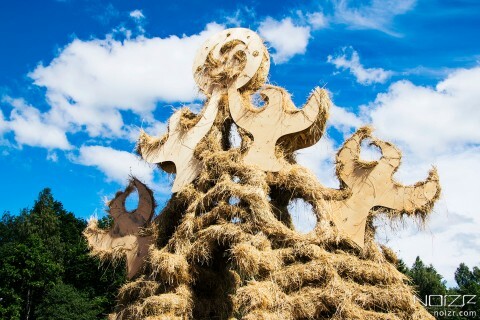 But also it’s worth noting the fact that the festival was held without any precedents. 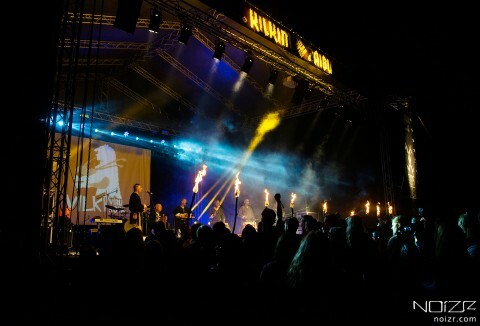 As mentioned above, Kilkim Žaibu is an outdoor festival, the pleasant atmosphere of which allows you to feel yourself, above all, being on vacation and among people with common interests. 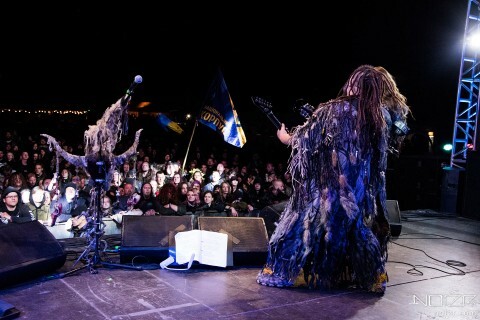 Its program and lineup didn't let one get bored during all day, and, of course, at night when the headliners played their shows and a full moon hovered over them with reflection in the water, and bright fires were lit on the coast, accompanied by various costumed performances and guitar songs.